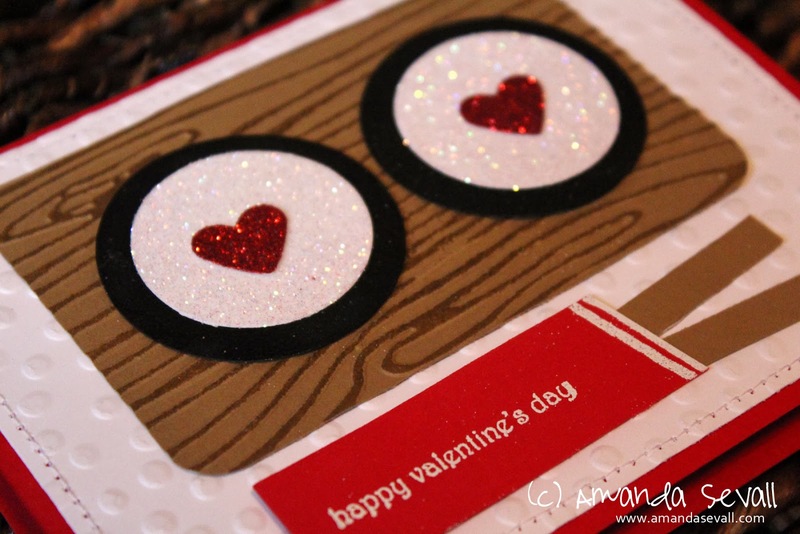 Amanda Sevall Designs: 365 Cards: Happy Valentine's Day Sushi! 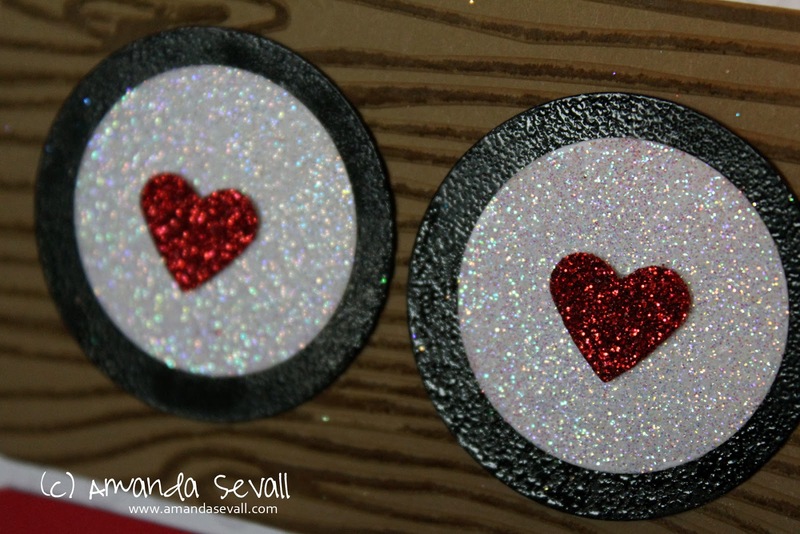 I saw a super cute card by Papayrus and knew I wanted to recreate it as some sort of punch art using Stampin' Up! supplies. Jury is still out on that one! I even used clear embossing powder on the black layer to mimic the shine on the real sushi wrapper. Have you ever searched the aisles of Target and been inspired? I'm lame- I didn't get that it was sushi until you said it. I kept trying to see a face with two large eyes and a beak-like mouth. It makes MUCH more sense (and is way cuter) now that I am seeing the sushi!